My coworker and I have started doing the 21-Day Drawing Challenge with Von Glitschka from Lynda.com (it's free, join in!) 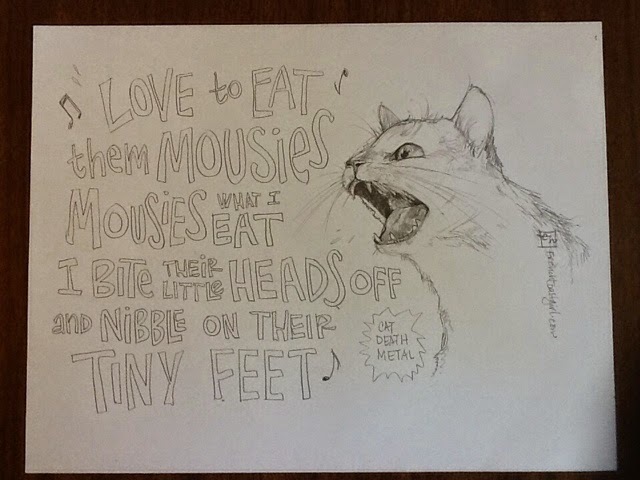 Here's my first one, under the first day's topic: "Cat". 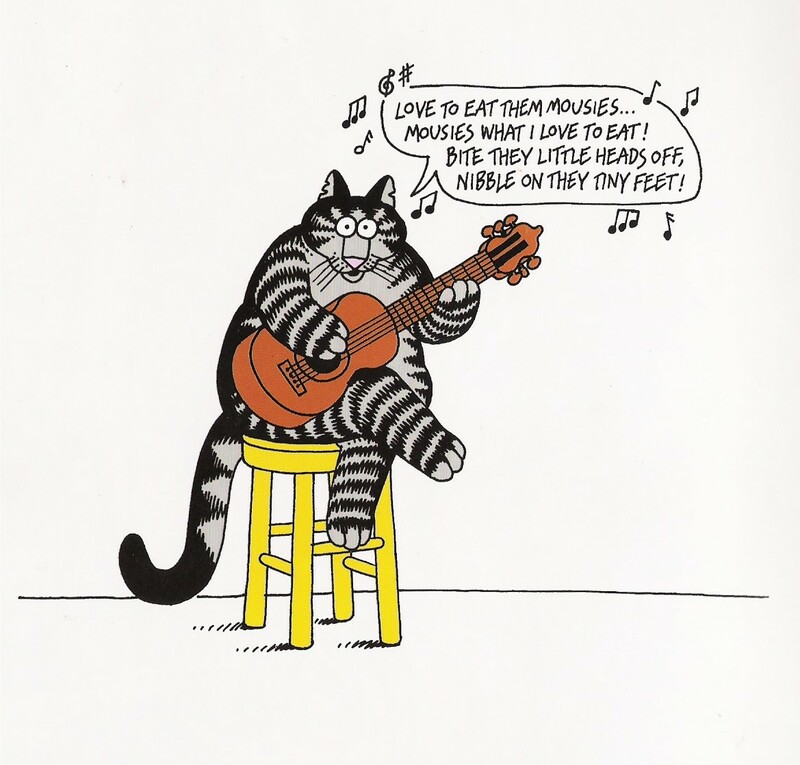 The lyrics come from this great Kliban drawing of a folk-singing cat. My friends and I would sing this on the playground back in the day, usually on the swings.